Are you a Travel Agent who needs a break? Let yourself wake up in Vanuatu! Welcome to your one-stop-shop to assist you in becoming super agents in selling Vanuatu! Complete our Online Training to become a Vanuatu Specialist and receive news updates, special event invites and famil details. Check out our Toolkit for videos, image library, brochures and maps. We also feature a list of wholesalers that sell Vanuatu. See our News and Events for product updates, press releases, agent events, and festivals and events happening in Vanuatu. 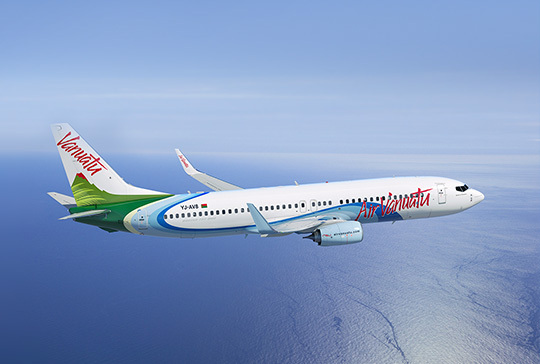 Plus, check out the beauty of Vanuatu for yourself and look out for with special agent fares with Air Vanuatu. Accommodation partners are also offering agent rates. See the Famils page for more information. Download images, brochures, maps and find a wholesaler selling Vanuatu. Check out our current campaign and incentives for your chance to WIN prizes and hosted famil spots. Be up to date on the latest news and events from Vanuatu. Are you a Travel Agent who needs a break? Check out great industry offers for travel agents to Vanuatu! Become a Vanuatu Specialist and complete the online training.